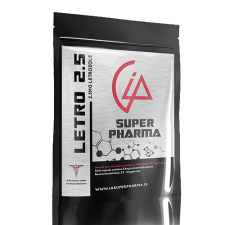 Clomifene or Clomiphene (also known as Clomifert), marketed as Clomid, is a selective estrogen receptor modulator (SERM) that increases production of gonadotropins by inhibiting negative feedback on the hypothalamus. Clomid inhibits estrogen receptors in the hypothalamus, thereby inhibiting negative feedback of estrogen on gonadotropin production. 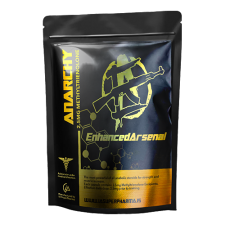 It may also result in direct stimulation of the hypothalamic pituitary adrenal axis. In short, Clomid provides the bodybuilder with a controlled and dependable post cycle treatment specifically in the return of the testicles to normal size and function (it brings your balls back). 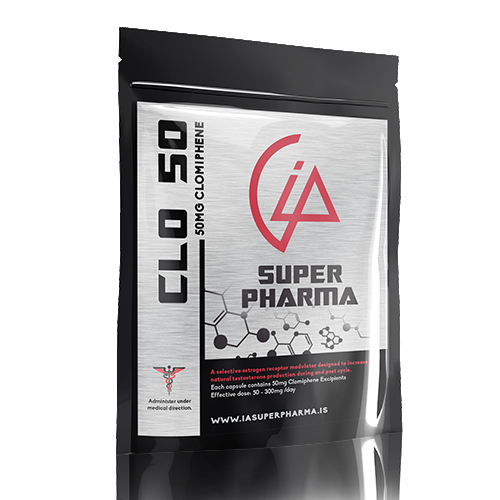 Clo50mg has 60 capsules per pouch. Liver disease: Clomid 50mg Tablets (Clomifene Citrate BP) therapy is contraindicated in patients with liver disease or a history of liver dysfunction. Abnormal uterine bleeding: Clomid 50mg Tablets is contraindicated in patients with hormone-dependent tumours or in patients with abnormal uterine bleeding of undetermined origin.